The Minister of Transportation, Chibuike Amaechi, has noted that any government that watches the killing of its people on a daily basis is irresponsible. 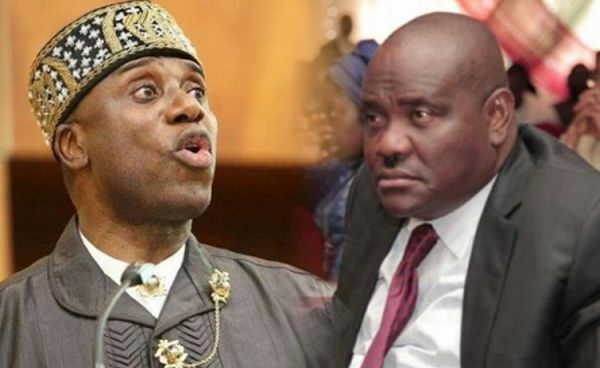 While speaking at a rally over the past weekend, the Minister of Transportation, Chibuike Rotimi Amaechi, said that Rivers State Governor, Nyesom Wike, has failed in governing the people who voted him to power. The minister who spoke at the event where he received hundreds of supporters of Peoples Democratic Party (PDP), into the All Progressives Congress (APC), in Gokana Local Government Area of the state, said that under Wike’s watch, killings and massacre of the people persists all over the state on a daily basis. According to him, “Every government has a responsibility to protect lives and property. The reason there is a government is because the people are alive. If a person dies there will be no government. “Any government that watches its people killed every day is an irresponsible government. Governor Wike watches his people killed every day. I met a woman yesterday whose husband was killed in front of her with her son watching. It could have been any of you. I can assure you today that this government of Wike has failed. “When I was your governor, you slept and I kept awake. As governor, I chased away criminals to their holes. “I know that the reason they are into crime was because they had no money for them. I knew that for you to stop a man from crime you need to provide an alternative means of livelihood. And to do that, I started building infrastructures.